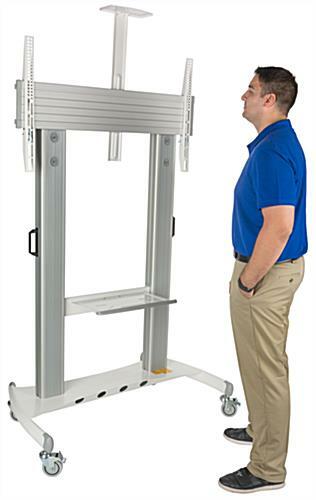 Fits 60" to 100" Monitors Up to 300 lbs. 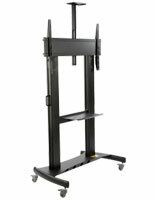 These silver TV carts are made for holding a 60" to 100" LCD plasma display that weighs up to 300 lbs. 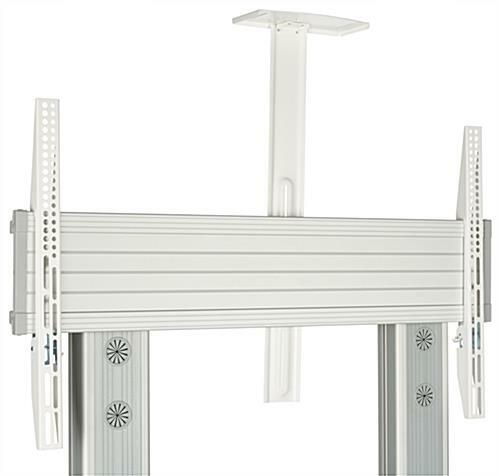 Each mount comes with (2) shelves, one at waist level for AV equipment and another for holding a camera for teleconferencing. 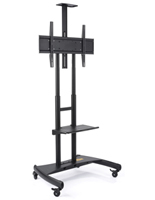 The TV carts also feature (4) locking caster wheels that make it easy to move them from room to room. 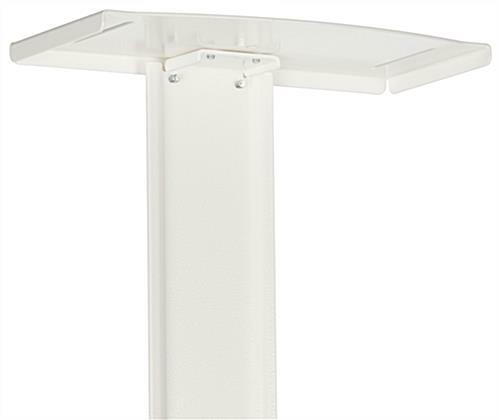 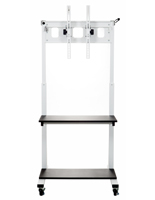 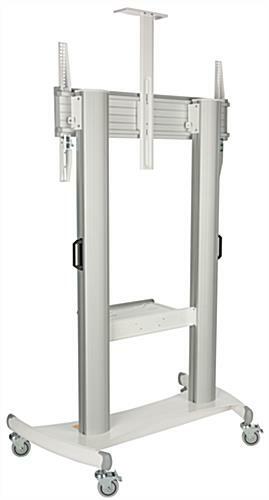 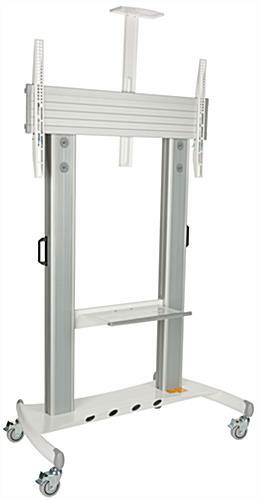 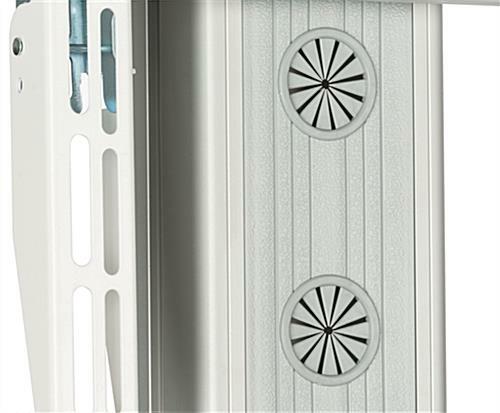 The LCD racks also feature a height-adjustable design that allows them to accommodate sitting or standing viewers. 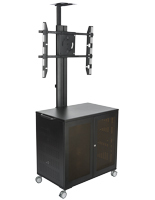 The carts display plasma screens in a landscape orientation and features VESA compatibility. 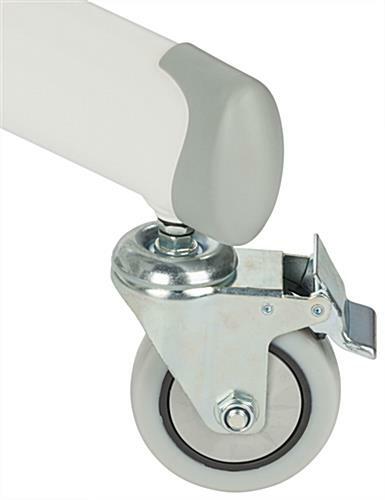 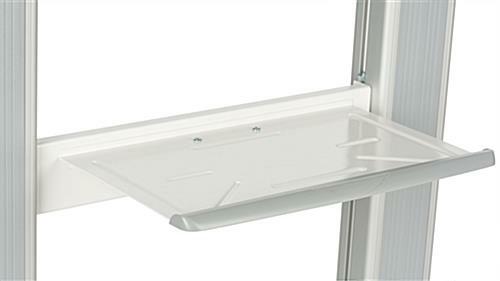 The mounts with caster wheels come with mounting screws that are compatible with most flat panels. 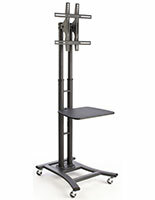 46.3" x 73.3" x 28.5"